At the twentieth special session of the UN General Assembly (UNGASS) on countering the world drug problem, Member States adopted a Political Declaration that called for, inter alia, the elimination or significant reduction of illicit manufacture, marketing and trafficking of psychotropic substances, synthetic drugs and precursors by 2008. 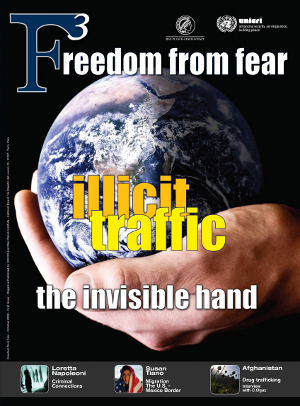 Ten years is a significant milestone to reflect on what has been, and continues to be one of the most challenging aspects of drug control in the modern era. The story of ecstasy provides a classic case study, building on effective drug control, the economics of demand and the evolution of newer trends. Ecstasy belongs to a class of compounds called the phenethylamines and is chemically related to mescaline. In his book PiHKAL, A Chemical Love Story1, Shulgin not only described in detail the synthesis of ecstasy, but of other phenethylamines of comparable psychoactive effects. Ecstasy was scheduled in 1986 as an internationally controlled substance. The Laboratory and Scientific Section of the UN Office on Drugs and Crime (UNODC), provides assistance to Member States in the enhancement of forensic capacity. Since its inception in 1954, the LSS has contributed to the establishment and strengthening of over 175 laboratories in 120 countries, trained more than 770 drug analysts from 145 countries. It provides on average 1000 reference samples (for comparative analysis) and 400 drug/precursor field test kits (see photo overleaf ) to laboratories and law enforcement agencies worldwide, and conducts a proficiency test for laboratories worldwide on the testing of controlled substances including ecstasy. The LSS’ direct contributions to Member States in the fight against MDMA have been through the publication of an analytical manual for MDMA and related substances; the development of field tests for MDMA and some of its known precursors; and the provision of authentic samples of the compound for comparative analysis. While such interventions have improved law enforcement activities and enhanced forensic capacities of laboratories worldwide, the fact remains that synthetic drugs produce a very peculiar problem. Synthetic drugs such as ecstasy can be manufactured with very little skill. Subsequently, clandestine laboratories for the illicit synthesis can be located in basic settings such as kitchens and garages, although massive operations involving sophisticated industrial-scale equipment and infrastructure increasingly dominate the market in terms of output. Ecstasy can be synthesised using a number of synthetic methods which do not require extensive chemical expertise. The most common route is via the MDP2P (3,4-methylenedioxyphenyl-2-propanone, PMK, piperonyl methyl ketone) intermediate. In addition to commercial sources of MDP2P, safrole from the sassafras tree can be isomerised to isosafrole using a strong base (easily obtained as drain clear crystals) and then oxidized to MDP2P. Subsequent treatment with methylamine (found in some strip furniture polish remover or distilled from automotive paints) produces ecstasy. Increased controls of the precursors, MDP2P and safrole are countered by the possibility of quite ingenious alternative routes. The internet is littered with several alternative methods of preparation using chemicals which are easily obtainable from photo shops and everyday products such as driveway cleaners. Given the absence of natural sources for most synthetic drugs, a key element of the international drug control strategy is the regulation of relevant starting materials and reagents (so-called “precursors”), without which synthetic drugs, including ecstasy, could not be manufactured. While a number of precursor chemicals are monitored internationally through the provisions of the Convention against the Illicit Traffic in Narcotic Drugs and Psychotropic Substances (1988), there is a range of alternative or substitute chemicals that also result in the desired end products. This is particularly the case for synthetic drugs. 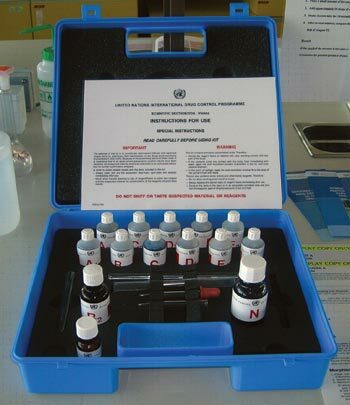 In response to the variability of starting materials and synthesis routes to manufacturing synthetic drugs, including ecstasy, the international community has devised a number of tools aimed at assisting regulatory authorities, customs officers and law enforcement agents to identify the precursor chemicals and detect suspicious shipments. Forensic laboratories can also provide valuable information in support of new trends. On the regulatory side, the International Narcotics Control Board (INCB) maintains what is known as the Limited International Special Surveillance List of Non-Scheduled Substances, which lists a number of alternative and substitute precursors that have the potential to be used in the illicit manufacture of narcotic drugs and psychotropic substances. The list together with the recommendations for action is made available to national regulatory authorities to aid in control of trafficking and illicit use of these chemicals. LSS is currently in the process of compiling a multi-lingual dictionary of precursor chemicals frequently used in the illicit manufacturing of narcotic drugs and psychotropic substances. The dictionary aims at assisting customs and law enforcement officers in the identification of precursors, which may be traded internationally under a variety of names. For ecstasy specifically, and given that some starting materials, such as safrole, may also be available in the form of safrole-rich essential oils, which are less well defined, LSS has carried out some research into colour tests to provide a simple means of differentiating safrole-rich oils based on their safrole content.2 In addition, forensic laboratories around the world are looking at analytical methods that could help link two or more samples to a common source and identify the actual starting materials used (so-called chemical or impurity profiling). While ecstasy was originally the street name for a specific substance, MDMA, it has over time become the synonym for a range of chemically related substances with similar pharmacological effects, which are typically available on street markets in the form of a tablet. While similar in their psychotropic effects, there are significant differences for instance in the onset or duration of action and toxicity. The exact nature of ‘ecstasy’ marketed in tablet form is therefore critical, and can only be determined by chemical analysis. As part of its newly launched Global SMART Programme (Global Synthetics Monitoring: Analyses, Reporting and Trends Programme), UNODC is therefore promoting the use of forensic data and information to better understand the products available on the illicit ecstasy market. SMART will look at the global synthetic drug situation in a regionally sensitive manner, thus providing input for actionable interventions by regulatory, health or law enforcement authorities at the regional and subregional level. Justice Tettey is Chief of the Laboratory and Scientific Section (Division for Policy Analysis and Public Affairs) of the UNODC in Vienna. Barbara Remberg is acting Chief of the Laboratoty and Scientific Section of the UNODC in Vienna. (1) PiKHAL, a chemical love story, Transform Press (September 1991). (2) UNIDC SCITEC/21, Colour Tests for precursor chemicals of amphetamine-type stimulants: systematic study of colour tests for safrole and safrole-rich essential oils, 2007.